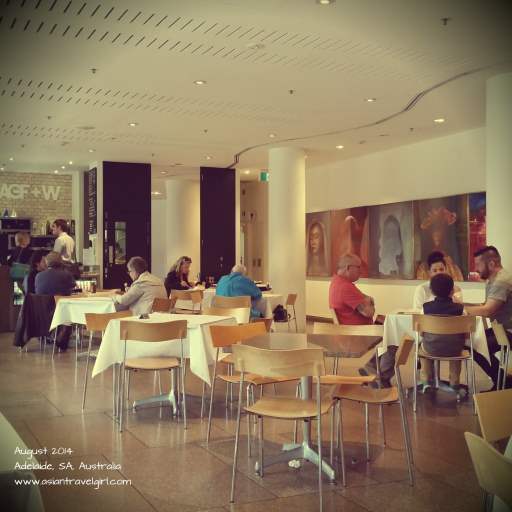 Art Gallery Food + Wine is a cafe located on the lower ground floor of Art Gallery of South Australia. It is a great place to catch up with friends over their famous “sketch coffees” where they make beautiful artworks from pouring steamed milk into espresso. Even though I have been in South Australia for almost 3 years and been to art gallery numerous times, this was my first time visiting. I immediately fell in love with the fresh produce they use and method of cooking. I went there at end of August, unfortunately I forgot to take a picture of the menu. 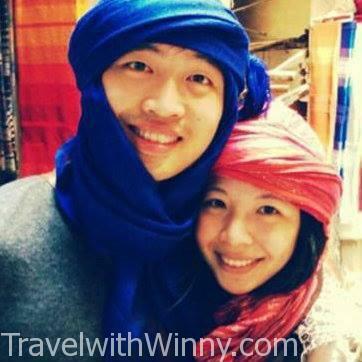 By the time I am writing this blog the menu has already changed! I had no idea what I had on that day, other than pictures I took on my phone (a bit disappointed at Samsung S5’s camera). 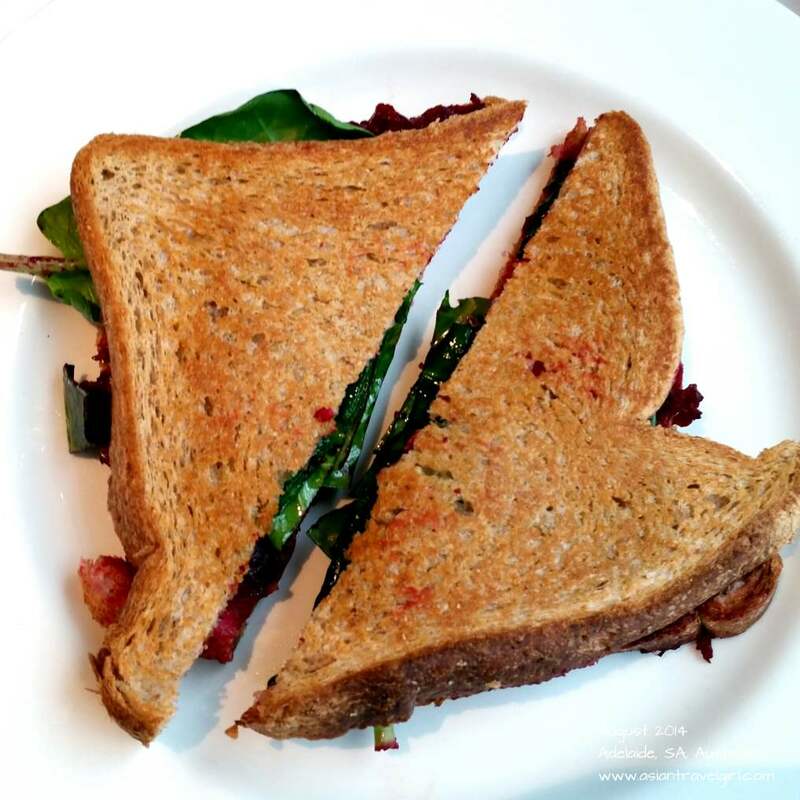 I could tell from the photo that the light rye bread sandwich had spinach in them, I think it is good they are using rye bread since it is one of the healthiest bread options out there. Recently I have declared that even wholemeal breads aren’t even that healthy. 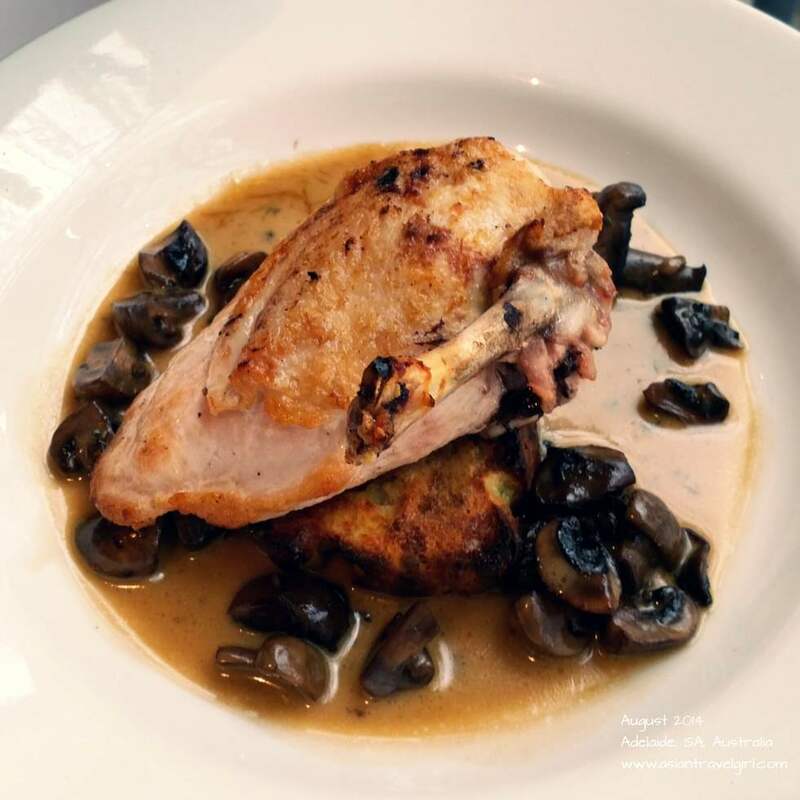 York and I shared a free range chicken dish with mushroom. The chicken breast was very tender even though the food came out a bit slow. However it was understandable since they were so busy even around 2 pm on a Sunday afternoon! This dish disappeared from their most recent menu too. I guess it is true they are only using ingredients in season. 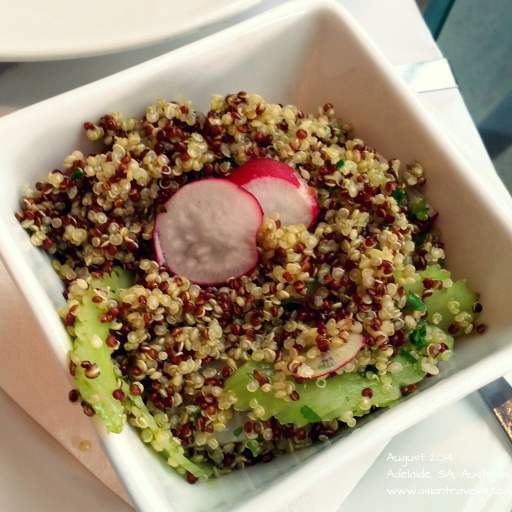 This is the only side dish that still remained in the menu- “Quinoa Salad: Celery Heart, Radish, Quinoa, Parsley + Avocado Oil”. This dish was very filling and I quite like it. Although York thinks he does better quinoa salad. All the flavors came from the vegetables used, however the avocado oil felt a bit too much towards the end of the bowl.